The massive explosion that rocked Beirut on October 19 was the latest in a series of political assassinations apparently orchestrated by Syrian intelligence. 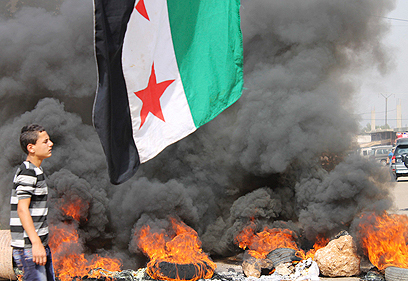 So what does Syria have to gain from a hit carried out during such a tumultuous period? Brig.-Gen. Wissam al-Hassan, who was killed in Friday's car bomb attack, was the intelligence chief of Lebanon's internal security service. His assassination was very similar to the hit on Rafik Hariri in February 2005: A large car bomb blowing up in central Beirut, killing the target along with bodyguards and dozens of civilians. Hariri and al-Hassan both belonged to the Sunni Muslim political camp, which opposes Syria's involvement in Lebanon. They knew each other and worked together in the past. Al-Hassan was aware that his life was in danger and recently moved his family to Paris. He was an expert in exposing spy and arms smuggling networks, and it was these networks that made him a target in the eyes of his opponents. In Lebanon there are currently two forces that operate simultaneously: the Shiite Hezbollah organization, headed by Nasrallah, which supports the Syrian regime; and the Sunni opposition headed by Saad Hariri, which backs the rebels in Syria. Opposition leader Hariri (son of Rafik Hariri), directly accused Assad of being behind al-Hassan's murder. Many in Lebanon see a connection between the assassination and al-Hassan's involvement in the exposure of Hezbollah's role in the assassination of Rafik Hariri. Moreover, al-Hassan recently exposed an attempt to smuggle explosives into Lebanon. 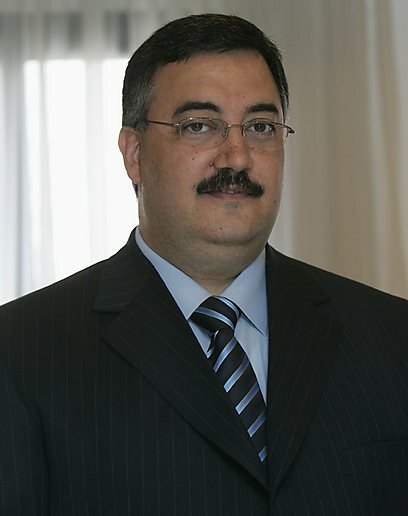 Former pro-Syrian minister Michel Samaha was arrested on charges of collaborating with members of the Syrian government to import the explosives and launch attacks in Lebanon. It is unlikely that al-Hassan's murder was a pure act of revenge perpetrated by Syria, but there is no doubt that his efforts to curtail the smuggling from Syria were viewed by the rebels in Syria as a sign of Assad's weakness. Hezbollah's covert activity suffered a major blow a few months ago when one of its top commanders, Ali Nassif, was killed by "Free Syrian Army rebels" near the Syrian city of Homs. It is safe to assume that Hezbollah was involved in al-Hassan's murder, just as it was involved in the murder of Rafik Hariri. As part of the Syrian regime's war of survival, Assad wants to prove that he remains powerful and that Syrian intelligence can still operate inside Lebanon. On the day of al-Hassan's assassination, Syrian newspaper Tishreen published an article stating that Saad Hariri was openly supporting the "terrorists" who are operating in Syria against the Assad regime. Therefore, al-Hassan's murder may have been aimed at warning the "March 14 alliance" – an anti-Syrian coalition of parties and independents in the Lebanese government that is headed by Hariri - of the possible consequences of its support for the Syrian rebels. The hit may have also been a warning to Lebanese intelligence that anyone who will try to prevent smuggling from Syria to Lebanon will end up like al-Hassan. The Syrian regime's deteriorating situation, with the casualties, defections and loss of control in the periphery, demands a reexamination of its escape routes and means of survival. Syria is surrounded by hostile countries – Turkey, Jordan and Israel. Should the rebels win the civil war, Lebanon will remain the only country to which the regime will be able to transfer its weapons and soldiers. Al-Hassan's murder may have been part of a plan by Assad's regime to protect the arms smuggling route to Hezbollah in Lebanon, or even to join forces with the Shiite terror group as a last resort. On the day after the Beirut attack, the Al-Safir newspaper published an article saying that "Lebanon has been exposed to political crimes for the past eight years (since Harir's murder) and is now completely vulnerable." Syria and Hezbollah will most likely point an accusatory finger at Israel's Mossad, as al-Hassan had exposed in recent years a network of spies who, according to Lebanon, worked for the Israeli intelligence agency. They will claim that Israel is interested in destabilizing Lebanon and drive a wedge between Beirut and Damascus. It appears that the assassinations in Lebanon will continue as long as Assad remains in power in Syria. Dr. Yaron Friedman is a graduate of the Sorbonne. He teaches Arabic and lectures about Islam at the Technion, at Beit Hagefen and at the Galilee Academic College. His book, the Nusayri Alawis: An Introduction to the Religion, History and Identity of the Leading Minority in Syria, was published in 2010 by Brill-Leiden. Copyright © Yedioth Internet. All rights reserved.